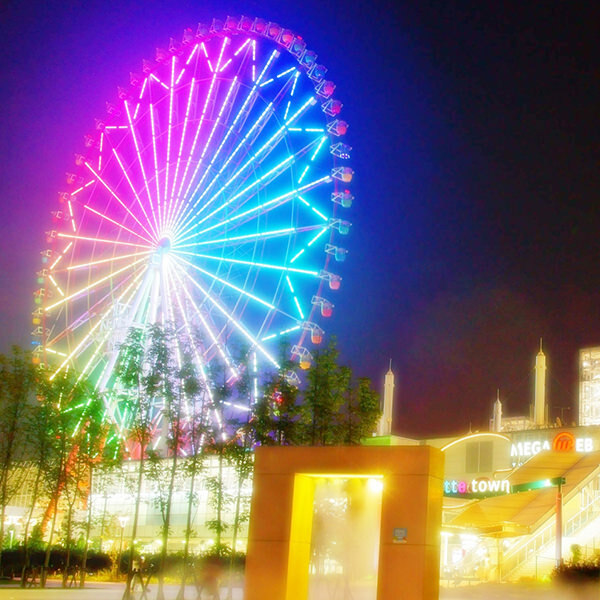 Daikanransha is a gigantic Ferris wheel in Palette Town (refer to #357) in Rinkai Fuku-toshin (refer to #348). It was once the tallest Ferris wheel in the world when it was opened to the public in 1999. 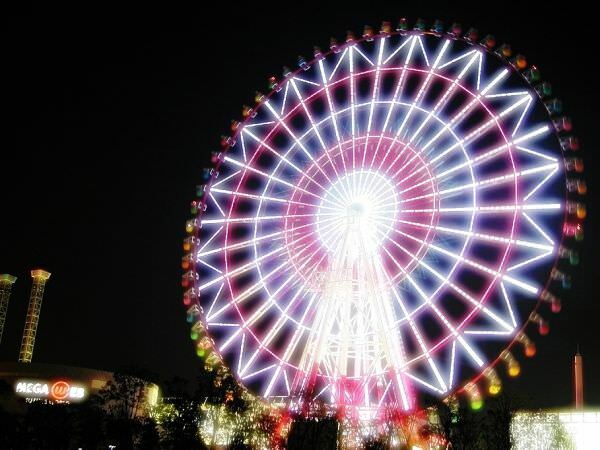 The Japanese word "dai" is "big" and "kanransha" is "Ferris wheel". If "kanransha" is dissected even more minutely, "kanran" indicates "viewing" and "sha" is another pronunciation of "kuruma (meaning things with wheels in general)".